So you know that we've been making some pretty mind-bending fantasy-adventure books, and we're publishing in all sorts of formats, from origami mini-books to paperbacks to ebooks and even through our own Super Cool Books iPad app. And still we're looking at more ideas for packaging stories and engaging readers, because it's such a thrill to design a storytelling experience that surprises and intrigues in new ways! Which is why we're looking forward to working with my friend Ian Tan AKA Ian Bigboy. Ian is a big fan of traditional bookbinding arts, and last year he started conducting small workshops under the name The Thistle Bindery. It's really amazing how quickly he has managed to grow his circle of bookbinding enthusiasts. When we met up we had a good time thinking up ideas for a collaboration. We'll get around to that later in the year. Meanwhile, I've invited Ian to share his passion with all you book lovers. Do remember to check out his links at the bottom of this post! Ian Bigboy with Rosemarie Jeffers-Palmer at Sydney Bookbinding. I started bookbinding back when I was studying in Edinburgh, because I wanted to pick up techniques to repair all the old books that I collect and use for research. Scotch tape didn't seem like a very dignified way to treat all those "relics"! Interestingly too, I lived in a flat directly across from a bindery. I could see it from my kitchen window and before I knew it I started to hang out in the shop, almost like an apprentice! Self taught or professionally trained? A mixture of both, I guess. I started out training under a master bookbinder in Edinburgh for the duration of my Masters study there. I spent quite a lot of time in the shop learning from my teacher, Isabelle Ting. After returning to work in Singapore, I did not have the luxury to do many books in my free time during the first year, however I continued to read up on book history, book conservation, etc. As my work became more manageable, I started to practise with stitching patterns which I now teach in one-day bookbinding workshops. I am still constantly experimenting with different techniques and at the same time seeking out bookbinders all over the world to learn from. 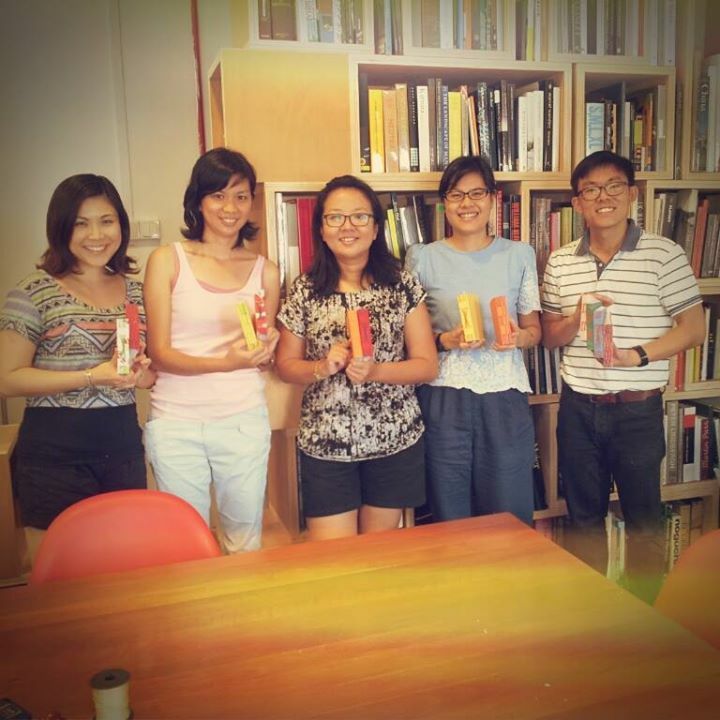 Ian (right) with his workshop participants. Why are you teaching this to others? Bookbinding enriched my life in Edinburgh and I was exposed to a bigger community of bookbinders and book lovers. 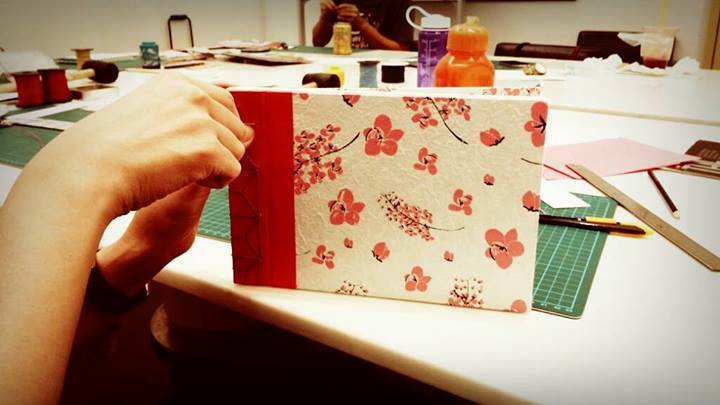 I was inspired by the free bookbinding sessions put together by my teacher and I wanted to recreate that form of camaraderie with other makers in Singapore by offering to teach bookbinding. 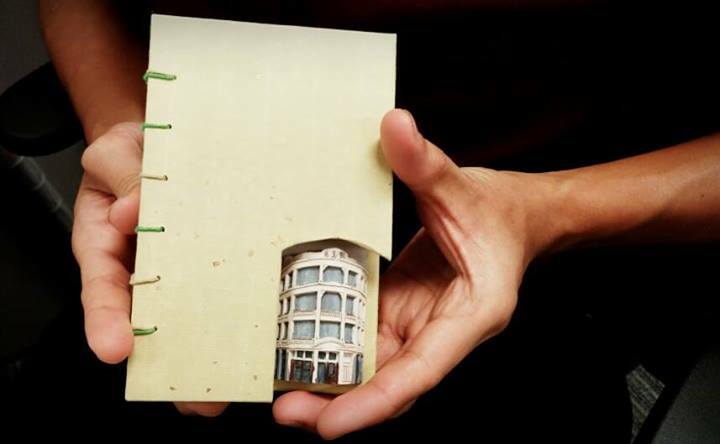 Hence my practice, The Thistle Bindery, is built upon the objectives of providing affordable bookbinding lessons and more importantly, allowing the participants to contribute to a charity while learning to make books! Proceeds from my workshops are donated to my charity beneficiary, Loving Hearts Multi-Service Centre. If you could design a binding for one of our Super Cool Books titles, which book would you choose, and how would you do it? I really dig the Sherlock Hong series. I like how the young protagonist is based in colonial Singapore and belongs to the International Order of Young Seekers. Sounds like a local League of Extraordinary Gentlemen! Sherlock Hong has the opportunity to interact with people from different Asian and European countries, since colonial Singapore was a melting pot of people from all over the world. Likewise, there is potential for me to create different bindings for the series, ranging from Stab Binding used by the Chinese, Case Binding used by the English and even Coptic Stitching used by Middle-eastern people! To find out more about The Thistle Bindery, drop by Ian's Facebook page or visit his website.